The Vital Consult team brings together a vast array of relevant experience to help your business. All team members are committed to working in a socially and environmentally responsible manner, with a focus on sustainability, while achieving positive outcomes for our clients. Bachelor of Applied Science, Biodiversity, Environmental and Park Management. Double Diploma Management and Customer Contact. Ali holds an MBA and has 10 years experience working with businesses throughout Australia at both a strategic development and operational implementation level. Ali and her husband Chris Sentance also own and operate Hire a Hubby North Adelaide. Ali has a unique ability to be able to think strategically, determining how a business can best develop, change and utilise its resources to achieve long-term sustainable results. Ali enjoys working with businesses to help them maximise operational performance and business leadership. As the Managing Director of Vital Consult her own passion and determination for developing a sustainable business environment is carried through into all facets of her own business. 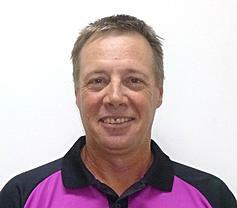 Chris along with his wife Ali own and operate both Vital Consult and Hire a Hubby North Adelaide. As an entrepreneurial couple their collective extensive experience in both business and industry ensures their advice is based on proven results and a sound business acumen. Chris shares his wife's passion for sustainability and works hard to maintain a strong reputable and reliable service for his Hire a Hubby clients. As owners of a management consulting business, together Chris and Ali continually strive for excellence in all facets of both of their businesses. 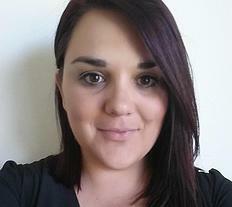 Liz is new to the Vital Consult office starting in January 2015. She is a country girl at heart who understands the need for balance in life. Juggling a family and a career is never easy but with her exceptional organisational skills and a can do attitude she is treading water well. Liz chose to join the Vital Consult team because she wanted to reconnect with her University studies and continue on the career path that 'teenage Liz' had in her sights with a focus on Indigenous engagement. Liz has had experience in a variety of businesses all with an administration and customer service background. Job title and brief description? My main task is to support the Vital Energy team and make sure that their jobs and days run smoothly. An average day is started by checking and answering emails, I make any necessary phone calls and do follow ups on unresolved tasks from previous days. I have a meeting at 9.30 with Ali either face to face or by phone and that meeting usually shapes the remainder of my day as no 2 days are ever the same. I take meetings, prepare and edit documents, network with businesses who share our business values, accounts payable and receivable and just ensure that the office is running as it should be. What's the big project you're currently working on? The majority of my time lately has been spent researching grants for one of our newest customers. I find the grant world fascinating. I love how diverse it is, I truly enjoy the challenges that are thrown at me! Honestly - getting the job to begin with. Indigenous engagement is something that I have always been incredibly passionate about and it’s great to be back on the path that I had strayed from. 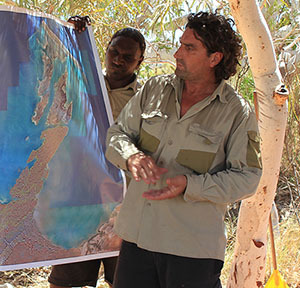 Through life learning and on-country experience in National Park Management,Cultural, Natural and Marine Resource Management combined with design and delivery of Aboriginal Land and Sea management programs. Brad has accumulated a wealth of knowledge and integrity around a more holistic approach to management of conservation estate. 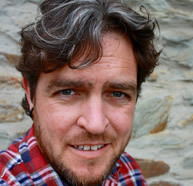 As the founding Director of Aboriginal Biodiversity Conservation (ABC) Foundation, Brad has chosen to dedicate his knowledge and experience to place Aboriginal people and their long term aspirations of land and sea management at the table of any discussion around managing conservation estate. As a former AFL player, Brad understands that commitment and drive that is needed to succeed in business. He understands the need to remain optimistic and has the energy to deliver in the long term. On-Country facilitation or implementation of agreed land and sea management initiatives with Aboriginal groups within the Pilbara Bio region. Conceptual Plan for the City of Karratha, Aboriginal inclusion in land management and foreshore management plan implementation including nature based cultural tourism initiatives. The creative stage of project development that can align key stakeholder and Aboriginal peoples with on-country outcomes around beneficial social and environmental change. How has playing AFL helped you in your career? An understanding of the required dedication and commitment in developing a strength in unity to achieve a desired outcome. The importance of a solid foundational platform as a starting point for change. Noel creates concise, compelling communication. An award-winning journalist, editor and copywriter, he specialises in distilling complex information into understandable and accessible language. considerable experience writing long-form feature articles, website and advertising copy, formal documents, speeches, and marketing collateral, Noel ensures consistency and clarity in all forms of communication. A lifelong interest in sustainability and social justice issues has informed Noel’s writing throughout his career, so joining the Vital Consult team was a natural fit. 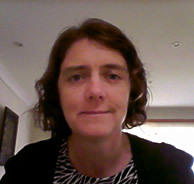 As a project manager for Vital Consult, Karen is in charge of the Pilbara for Purpose contract that we hold. Karen has spent three years in Tanzania doing relief and development before moving onto working in the world's largest refugee camps with the Rwandan refugees. Five years in Liberia beginning with working with a not for profit organisation and then onto the United Nations. Karen also spent three years in Nigeria working with the British High Commission while also doing consultancy work for the United Nations. 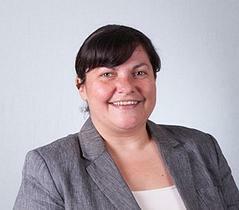 She is currently seven years into her role as the Manager of the Pilbara Association of Non-Government Organisations. Brief description of your position? I provide administrative support to the Pilbara for Purpose Board, coordinating project activities so existing grants can be finalised and acquitted. Being able to work with the For Purpose Sector with people who are passionate about their work and their communities and working with a visionary Board with a desire to strengthen, support and promote the For Purpose Sector in the Pilbara. I work part time, so each day varies depending on the tasks needed to be done that day - checking emails, making calls, completing reports, setting up meetings, working on projects. To align our services with businesses that have a social and/or environmental conscience to help build a better future for all. Vital Consult has a passion and a determination to see humanity and the environment benefit from our economy by developing sustainable innovative practices for the future. Sustainability: We care about generating sustainable business growth for our clients. Vital Consult has a passion and determination to see humanity and the corporate world benefit from our economy while developing sustainable innovative practices for the future. Flexibility: Our clients are the lifeblood of our business.​ Your values are as important to us as our own. We understand our clients' needs and our focus is to deliver you a great service and great results every time. Integrity: We are truthful, trustworthy, and transparent. We do what we say we will do, when we say we will do it! We value and respect all individuals for their diverse backgrounds, experiences, styles, approaches and ideas. We have a commitment to being ethical and honest in all of our dealings. Affordability: We value affordable, accessible and quality solutions that fit the needs of your business.​ We align ourselves and our delivery to your business objectives and can change quickly to adjust to your business needs.